Nope! White Knight Story Hasn't Been Dated Yet, Folks!! Oh ho ho. We told you to take that White Knight Story-is-dated-for-Japan-December-11th story with a "pinch — nay, a handful — of salt". And good thing! 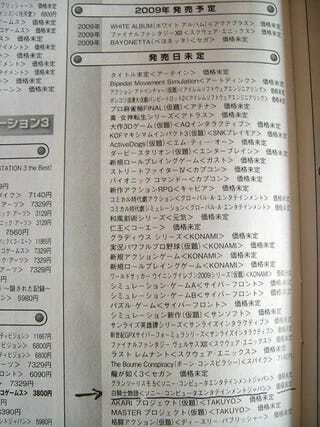 Pictured is the new issue of Famitsu which was supposed to contain this announcement. It doesn't. At all. Not only is there not a single article on the PS3 RPG exclusive, the game isn't even given a launch window. Just look at the cover and see how there's not a single mention of White Knight Story (in Japanese 白騎士物語). You'd think a big Level-5 developed Sony published PS3 exclusive would at least get a cover mention. Still, don't believe us? Hit the jump for the proof. Since there's not an article on the game, let's check out Famitsu release calendar. 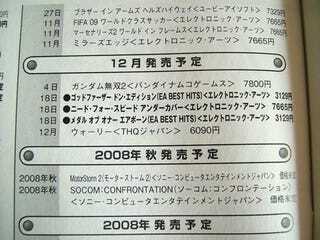 This section shows what games are coming out this December (12月 in Japanese). Do you see 白騎士物語? We don't. What about a game coming out on December 11th? Nothing! 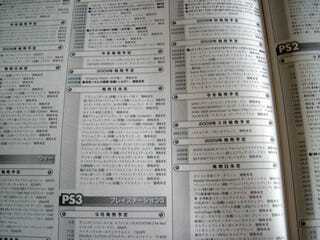 Let's take a gander at the section that show game releases marked "TBA" or 発売日未定. Ah! Look, there White Knight Story (白騎士物語). No release date and no price for this game. We're not saying it isn't coming out on December 11th — we're saying that this issue of Famitsu, which was rumored to dated the game, does not say when it's coming out. 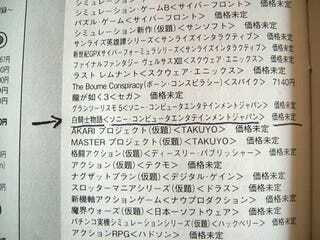 So, until there's something official announced, consider this game "TBA" and this Famitsu rumor smashed.